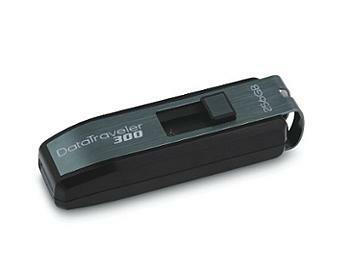 Kingston's new DataTraveler(R) 300 USB Flash drive carries the highest capacity available on the market. Up to 90% of the drives content can be password protected and conveniently accessed due to the new Password Traveler software. No administrator rights are required. Fast transfer speeds guarantee smooth data flow to your host device.